In fine dining settings experienced chefs, sommeliers, and confectioners work together to carefully pair original dishes with progressive wines and spirits, followed by carefully prepared desserts, which are all made from the finest ingredients, and all compliment each in hopes of creating an exciting sensory experience for their guests. The trouble is, we very rarely see the same meticulousness when it comes to coffee, and most of the time, the after meal espresso is underwhelming at best (cheap, bad quality beans; too dark a roast; incorrect preparation etc). Filter coffee is almost never an option, and the lackluster lungos and cappuccinos that we see arriving at tables have no place in fine dining establishments. Just as it should be impossible to order a subpar bottle of wine, it should be impossible to drink a subpar coffee after a four or five star meal. In fact, pairings should be made which take into account the characteristics (acidity, sweetness, body, aroma, etc.) 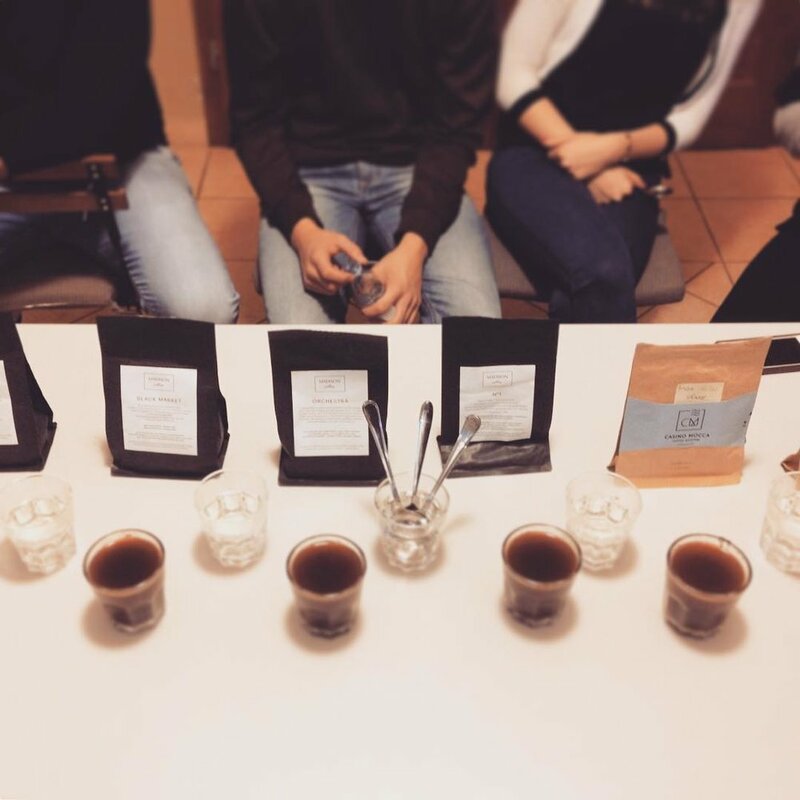 of single origin coffees to follow certain dishes, or match particular deserts. 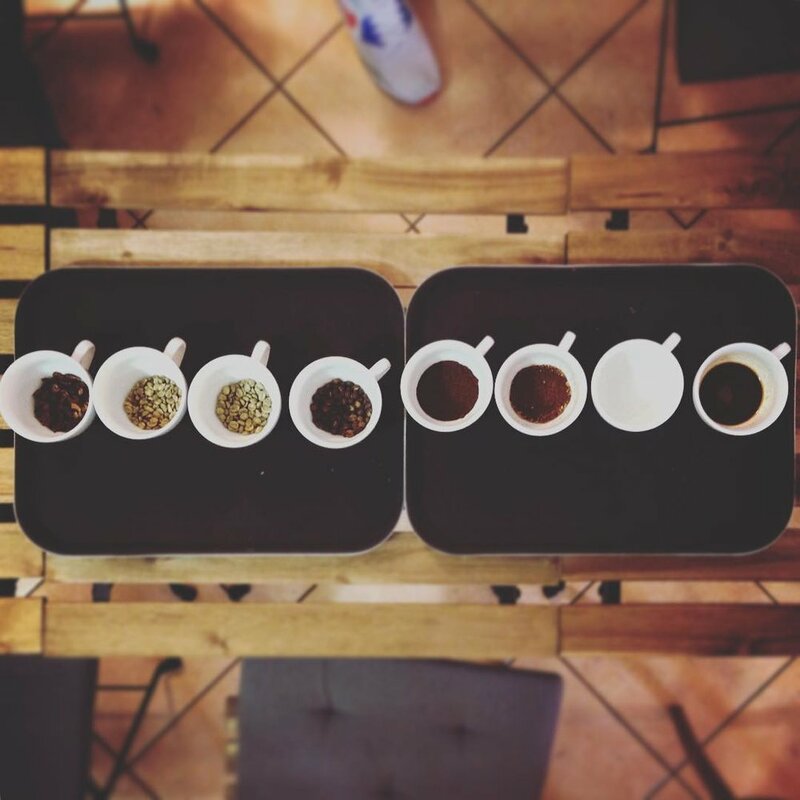 Our Coffee Consultancy service can get you on the right track with equipment and personnel training, as well as selecting beans and roasters which are a perfect fit for your business. With just a little bit of extra care you can add another culinary adventure to round out your guests’ experience, ensuring that each factor from when they walk through the door to when they leave, “from eggs to apples” as the Romans used to say, meets the highest standards. If you have a Mod Mex or Asian Fusion kitchen why would you serve your guests an Italian roast espresso after their meal? The more than century long tradition of cafés and coffee shops acting as social hubs for artists, writers, and business people doesn’t seem to be waring off. What IS changing rapidly is that (as in all aspects of service) customers are expecting a higher quality product. The 3rd wave of coffee has raised the standard and is on the verge of being mainstream in places like Australia, the U.K., the U.S., and northern Europe, and has created a giant splash in cities like Berlin, Budapest, Prague, Bratislava and Belgrade. WE can help your café make the transition. We know that ending a relationship with an Italian roaster who provides you with a full service, giving you discount coffee, equipment, and furnishings, seems like a big risk, but just think, that’s exactly what your customers are getting at your shop: discount coffee, made using discount equipment, served with discount furnishings...and they know it. Upgrading is not as complicated or expensive as it may seem. There are lots of options out there regarding beans and equipment, and we are here to help with each step. Are you ready to take the leap and set yourself up with the things you need to enjoy your favorite coffee both at home and on the road? When choosing between grinders, espresso machines, tampers, milk, steaming equipment, and beans, it’s easy to make mistakes, and there’s nothing worse than having buyers remorse about expensive equipment. Let us help! We can suggest and highlight pros and cons of different equipment based on our own experiences, help you find the specialty roaster or coffee subscription service which is right for you, and help you develop the right recipe(s) for your morning cup or dinner party. If you want to put together a travel brewing kit, whether for hotel, hostel, or camping purposes, let us help you by suggesting alternative brewing methods and recipes which suit the style of coffee you need to get going in the morning.